An organization that provides educational opportunities for students to learn about the culture and heritage of African-Americans. Club members volunteer in the community, take field trips, and sponsor social activities. An activity that provides opportunities for students to promote excellence in music and musical competitions, and support the community. An Association of Marketing Students An organization for marketing students to develop leadership, social skills, vocational understanding, and civic consciousness. An organization that develops leadership skills and offers opportunities for students to compete with other members across the region and state in business-related events. Students taking any business course are strongly encouraged to join. Students must be enrolled in a business course or have taken three business courses during past semesters. FCA is a worldwide, Christian ministry organization that seeks to meet may spiritual and social needs of student-athletes through huddles, Bible studies, and recreational activities. Students do no have to be part of an athletic program to participate. An organization with commitment to service, leadership, career development and all areas of agriculture including Environmental Science, Agricultural Engineering, Horticulture, Animal Science, and Natural Resources. An organization to help future teachers gain knowledge about the teaching profession, Teaching Fellows Program, and to provide service to current teachers and to serve as tutors. 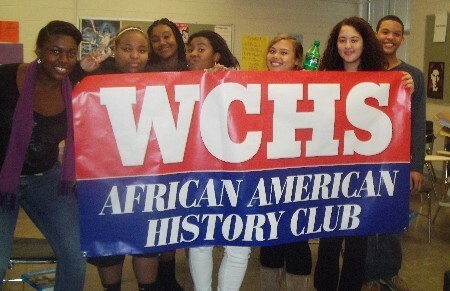 A youth service club sponsored by the Morehead City Noon Rotary Club. Members are involved in service projects to benefit our school, community, state, country, and world. Kiwanis sponsored, community service and youth leadership-building club. The West Carteret chapter of the National Honor Society creates enthusiasm for scholarship, stimulates a desire to render service, promotes worthy leadership and encourages the development of character in the students of West Carteret High School. The Navy Junior Reserve Officer Training Corps (JROTC) is a program offered to high schools that teaches students character education, student achievement, wellness, leadership, and diversity. An organization that promotes personal growth and leadership development. Focusing on the multiple roles of family members, wage earners and community leaders. An organization that promote leadership and skill development. Members participate in local, regional, state, and national competitions. The organization also offers the Professional Development Program. A club to promote multicultural understanding. An organization of elected student officers and representatives. Purpose: To plan activities for the entire school. ASB President serves on the Site-Based Management Team. An organization committed to the promotion and celebration of all aspects of the theatre. Our purpose is to increase the strength and conditioning level of all West Carteret Athletes. The club meets after school Monday through Thursday from 3:00 till 4:00. We use the bigger faster stronger program. Click here to view the Bigger Faster Stronger Website!